Luxul will highlight a “Good, Better, and Best” offering of wireless Apex™ APs for security systems. For smaller networks where budgets are a concern, Luxul’s “Good” XAP-810 is a cost-effective wireless AP offering 802.11ac 2×2 dual-band technology and 5GHz beamforming for data rates up to 1200Mbps. 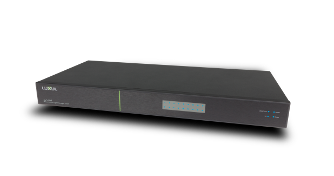 The “Better” XAP-1510 features 802.11ac 3×3 dual-band technology and 2.4 and 5GHz beamforming for data rates up to 1900Mbps throughout a facility. The “Best” XAP-1610 features advanced 4×4 MU-MIMO (802.11ac Wave 2) technology and 2.4 and 5GHz beamforming for data rates up to 3167Mbps. The AP is designed to enhance transmission and reception performance, producing higher throughput when experiencing medium to weak signals within the effective range.